This is going to be my fourth and possibly final post on Inhibitif. It's got to the point now, where I feel as though the results have reached a plateau. Since beginning this trial, I've definitely noticed a pretty significant change in the density and growth rate of the hair on my legs, resulting in the need to shave less often. Has hair disappeared completely? No. But as I've said before, the makers of Inhibitif do state that this is not a hair removal product, so if that's what you're looking for, you may want to search elsewhere for something better suited to your needs. Now, I leave my legs for around one and a half weeks before reaching for my razor. I totally feel more confident about going out without freshly shaved legs, which is a complete change to before and still surprises me. The hairs on my legs have always been fair, but now they appear almost invisible and you can't notice them, unless you look very closely, or cop a cheeky feel. Inhibitif claim that after six weeks, to two months, application of the serum can be reduced, so that results can be maintained. I have to say, I'm so happy about this as, after a couple of weeks, the novelty wears off and it becomes a hassle to slap it on, twice a day. For now, I think I'll continue to apply this serum three times a week, in the evening, before reducing usage to once a week. I'll report back on whether I see a change, after cutting down my twice-a-day habit. Hopefully I'm not left back at square one, after all that effort! I've finally come to the end of my initial bottle and I have repurchased since running out. But, if I'm honest, I can see myself forgoing Inhibitif in my beauty routine, once Summer has passed. Considering that you still have to remove hair every so often, I just don't think the time spent slathering it on is worth the reduction in shaving, when I'm not going to be flaunting my pins as much. Overall, I'm glad that I tested out Inhibitif and I do think that it's made a positive difference to the growth rate of the hairs on my legs. But, it doesn't do anything miraculous and, unfortunately, won't give you the legs of Miranda Kerr (unless you have those already, of course, you lucky thing!). You still have to remove hair, just less often. This is a long-term product, not a quick fix and applying it religiously, morning and night, everyday, is a burden for six weeks. I love how you can use this in conjunction with other products, such as moisturiser and it does leave my legs in better condition, with no painful, red bumps or ingrown hairs. £29.99 for 240ml of the Inhibitif serum, is initially guilt inducing, but compared to costly salon procedures, it's a steal, as a bottle lasts so long. You just need to weigh up the pros and cons of this serum and work out for yourself, whether this will satisfy your de-fuzzing needs! Have you tried Inhibitif? What are your thoughts? I'm on about week 5 of my own Inhibitif trial, and while I'm committed to continuing to use this twice daily for three months (as the marketing literature suggests), so far I'm underwhelmed by the results. I think there has been some reduction of hair growth, but because I have dark hair and pale skin, it hasn't really made any difference to the frequency of shaving my legs. Maybe I had the wrong expectations of what could be achieved with Inhibitif, but the advertising was touting it as a alternative to laser hair removal. That hasn't been my experience so far. It doesn't help that Inhibitif is just all-round not a very nice product. It's the colour of urine. It smells, as one Boots reviewer so astutely observed, "like cigarettes and aftershave". The watery consistency makes it diffult to apply; if my skin is dry I find myself having to use nearly twice as much Inhibitif to get an even application. I also share your feelings about the twice-daily routine being a bit of a pain. On the plus side, I haven't noticed any side-effects at all (skin irritation, in-grown hairs, etc.) from Inhibitif. I'm going to need to buy a new bottle to complete the three-month treatment programme. That'll be £60 spent on Inhibitif in total, plus having to buy my regular razors. If Inhibitif works it's long-term investment. It's a shame that you're disappointed with the performance of Inhibitif serum. I was always sceptical about the product, but I did notice some change in hair growth and density. Although, the changes weren't anything drastic and I certainly won't be slipping it into my beauty regime forever. The box advises to use this serum religiously for two months, or until hair appears nearly invisible. So, as I'm approaching the two month mark, I decided that the results had reached a point that I was happy with and would reduce my usage. I do think that the marketing of this product could be deceiving, initially, but Inhibitif do state that it's not a depilatory and won't remove hair. I agree that the formula could be improved, but personally, the unfortunate colour doesn't bother me too much. As for the fragrance, it isn't pleasant, but my body moisturiser usually covers that up. I actually prefer the watery consistency, as I find that my legs are covered quickly, it spreads easily and absorbs well. As you say, it is a long-term investment and nowadays people are after a quick fix, with minimum effort! If you are still finding that you need to shave as regularly, then the serum just isn't worth the expense. I was considering buying this and read the whole review. Would you say its worth purchasing then or not? It depends on what you want from the product, really. It can be a hassle to apply so often, it smells minty and it does take a good, few weeks for you to start seeing results. 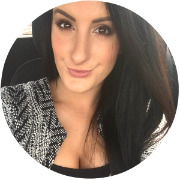 If you want instant gratification and a quick fix, this isn't the product for you. But, I have seen a positive difference in the hair growth on my legs over time, which has allowed me to shave less often. 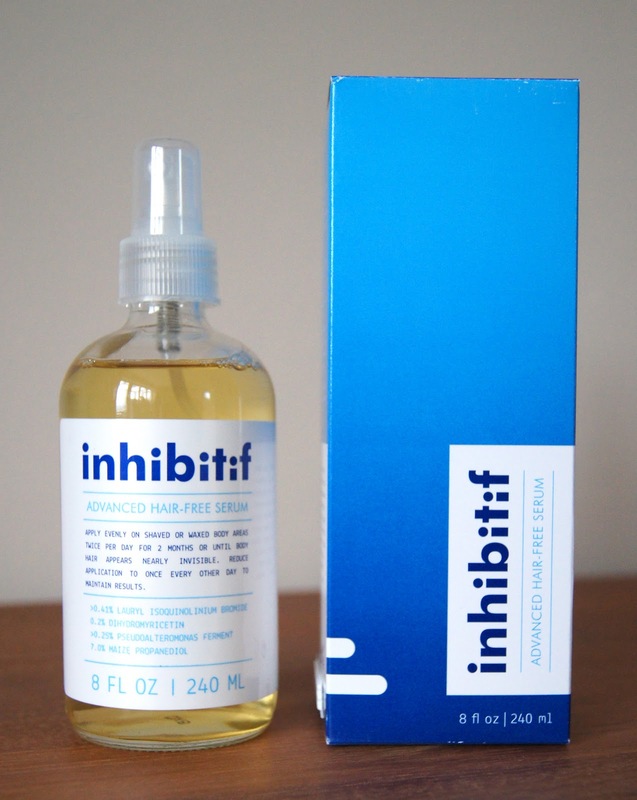 Inhibitif won't remove hair, but I've found it to be great for reducing the appearance, density and growth rate of it. Even though the frequency will be reduced, you'll still have to purchase your usual hair removal product, with Inhibitif on top of that, which adds up! You just need to weigh up the pros and cons, to see if you think it's worth it and if will suit your lifestyle. If you decide to take the plunge and purchase Inhibitif, let me know how you get on with it :).